Avengers: Endgame is rapidly speeding toward its release date and the movie still clocks in at three hours, according to directors Joe and Anthony Russo. We first learned back in November that they were roughly halfway through the editing process and that the highly-anticipated follow-up to Infinity War was clocking it at roughly 180 minutes. It's looking increasingly like Marvel fans are going to be in for a long ride. The Russo brothers recently provided another brief update on where they're at in the process of getting Avengers: Endgame ready to go for audiences around the world. They've already been testing the movie and they say the response has been great, even at that three-hour mark. Plus, the studio, as they tell, it, just wants the best version of the story and if it takes three hours to get there, so be it. Here's what Joe Russo had to say about it. "We're still at the three-hour mark. I think the studio is down with what the best story is. Right now, we think the movie is playing well and we've had great responses from our test audiences and we're feeling very good about where it is. We're still doing work to it. We're not done with it. Again, this is a culmination film of 22 movies, it's a lot of storytelling to work into it. Emotion is an intrinsic part of that to us. When you have to tell a really complicated story and you want strong emotional moments with the characters, it just requires a certain amount of real estate. This one, in particular, feels like three hours worth of real estate." 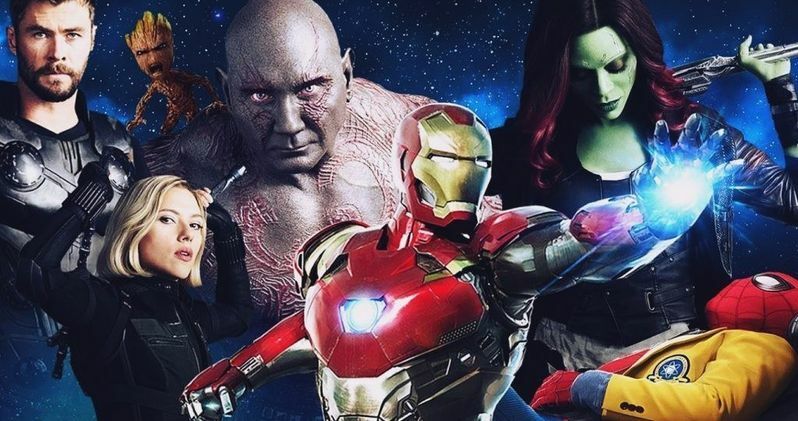 Should things stay the way they are, Avengers: Endgame would clock in roughly 20 minutes longer than Infinity War, which is currently the longest movie in the Marvel Cinematic Universe. Granted, that worked out pretty well and no fans were complaining about the length. Given how much needs to be resolved in the sequel, we can only assume fans will be willing to sit through just a little bit more in order to get the most satisfying conclusion. As for possibly inserting some kind of intermission to allow moviegoers a bathroom break? Anthony Russo had this to say. "We have screened the movie four times for audiences now. For the first three screenings, not a single person got up to go to the bathroom." So much for that. Quentin Tarantino did incorporate a short intermission with his movie The Hateful Eight, which clocked in at just over three hours. But Marvel seems to think their fans aren't going to want to miss what's coming our way and they're going to exercise some bladder control in order to see our remaining heroes get revenge on Thanos. Those who have trouble holding it, plan accordingly. Avengers: Endgame is set to hit theaters on April 26. This news was first reported by Collider.